CarGurus has 277 nationwide Accord Crosstour listings starting at $3,999. New for 2010, the Honda Accord Crosstour crossover utility vehicle, or CUV (as it's officially called by the automaker), combines the ride and handling of a sedan with the functionality of an SUV, thanks to its versatile cargo area, accessed by a rear tailgate. The Crosstour shares its platform and most of its interior features with the Honda Accord. However, the Crosstour's sloped rear roofline and its overall exterior profile depart from the standard Accord design, and draw mixed reactions from owners and reviewers. Some find the design heavy in the rear end, while others like the Crosstour's flowing lines and sporty style. Although the Crosstour's tailgate design may look new to 21st-century eyes, it does borrow some styling cues from classic sports cars, such as the Porsche 911 and the Mustang fastbacks of the 1960s. In addition to its tailgate, the Crosstour stands apart from the Accord sedan in several other ways. 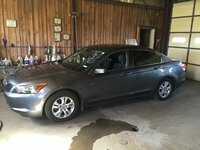 Taller, wider, and longer than the standard Accord, it also displays a bolder front grille and textured rocker panels. Projector-beam halogen headlights, front foglights, heated power side mirrors, chrome window trim, and chrome exhaust finishers help complete the Crosstour's look. Under its skin, the Crosstour comes equipped with a number of innovations and firsts for Honda. Its 3.5-liter, 271-hp V6 engine uses the latest generation of the automaker's Variable Cylinder Management system, which helps improve fuel efficiency. The Crosstour's five-speed automatic transmission revs the engine during downshifts for smoother transitions and features enhanced G-force gear-holding capability, which ensures more spirited driving in corners. In addition, the optional navigation system comes equipped with a new type of reflection-minimizing coating on its screen, a first for any Honda vehicle. And the Crosstour holds the distinction as the first Honda with Active Sound Control, which uses the sound system to cancel certain types of engine noise for a quieter cabin. The Crosstour comes in front-wheel-drive EX and EX-L trims, as well as an EX-L 4WD trim for 2010. The EX-L 4WD engages its real-time four-wheel-drive system when it detects slippage, sending power to the wheels with the best grip. Front-wheel-drive trims post fuel economy numbers of 18/27 mpg, while the 4WD trim manages 17/25. The Crosstour borrows many of its interior features from the premium Accord trims. Owners can choose from two available interior color combinations, including charcoal black with a monochromatic black instrument panel, and an ivory interior with a two-tone black-and-tan instrument panel. Both feature wood-trim-style accents. Dual-zone automatic air conditioning, a 10-way power-adjustable driver's seat, a four-way power passenger seat, a tilt/telescopic steering column, and illuminated steering-wheel-mounted audio and cruise controls are among the standard features. A seven-speaker, 360-Watt AM/FM audio system with a 6-CD changer and a subwoofer keeps passengers entertained. The EX-L trims add such features as leather-trimmed upholstery, heated front seats, Bluetooth, and a leather-wrapped steering wheel and shift knob. The EX-L's audio system also includes XM satellite radio, premium speakers, and a USB interface. Options for the EX-L trims include a satellite-linked navigation system with voice recognition and a rear-view camera. Standard safety features for the Crosstour include dual front, front side, and side-curtain airbags with a rollover sensor. Honda's version of electronic stability control, called Vehicle Stability Assist, also comes standard. Antilock brakes include electronic brakeforce distribution and brake assist. The Crosstour EX rides on 17-inch alloy wheels, while the EX-L trims ride on 18-inch alloy wheels. 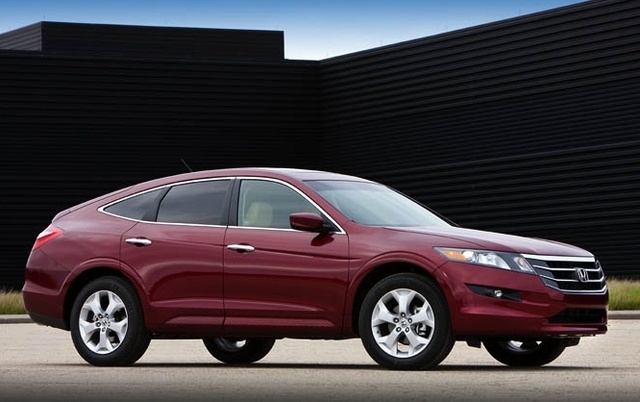 What's your take on the 2010 Honda Accord Crosstour? Have you driven a 2010 Honda Accord Crosstour? My radio won't come on after a charge. I was able to get the Navigation up with the code but I don't know how to enter the code for the radio. I have a code but how do I enter it. 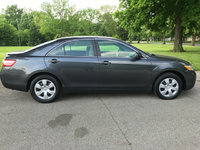 I wish to list my car on cargurus but don,t know how to go about listing it? What fuse blew when I hooked the battery up backwards?